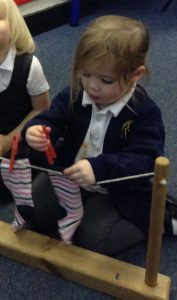 Playing with playdough, using pegs, finger painting and songs with finger puppets – Children need to be able to use their fingers independently to write. 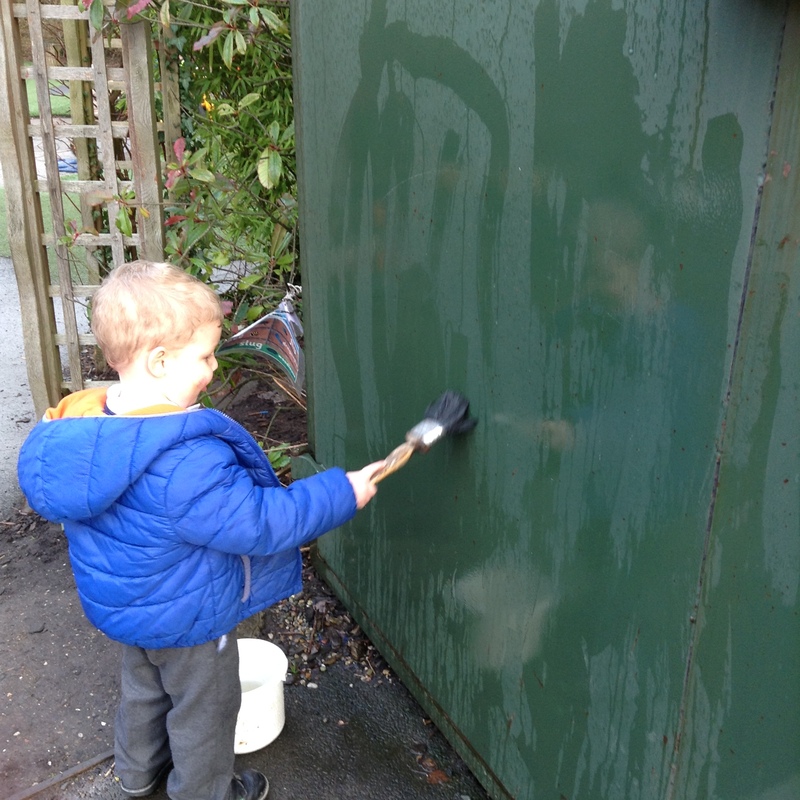 Activities such as these strengthen and encourage children to use their fingers, developing the skills they need. Sticking Stickers – Peeling off and sticking down stickers is a great way to develop children’s pincer grasp, where small items are held between the tip of the thumb and the index finger. Children need this skill to help them to hold a pencil or pen. Climbing or playground equipment – Our outdoor playground equipment and PE equipment builds strong arm and body muscles needed to write. 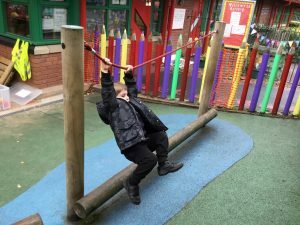 Outdoor activities and large physical play in the park, at a soft play or in the garden, that uses their whole body will develop these muscles, for example swinging on a swing, where grasps are used by the hands and children need to maintain balance when moving the whole body. Clapping, batting, threading and using ribbons or scarves – We encourage children to thread beads along a string or pasta along a pipe cleaner to make a bracelet. Clapping games or songs e.g. ‘Pat a cake, pat a cake bakers man song’ (with clapping actions) or using a washing up bowl as a drum will build strength in children’s hands and arms. Batting a tennis ball or balloon and playing with ribbons or scarf dancing to make shapes encourage children to cross the body’s mid-line. Use torches and play ball games – Children need to track and follow with their eyes to both read and write. We play games where children follow a torchlight, just with their eyes. Another idea is throwing a ball at a target or playing catch with a ball or beanbag, meaning that children’s eyes have to follow where the ball has gone. Scribbling and drawing – At St Andrews, we encourage children to draw and mark make in lots of different ways. Children love to explore how they can make marks and what shapes can be made if they use their hands or arms in different ways. 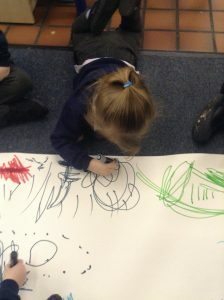 Large pieces of paper on the floor, using paint brushes to draw in snow, using their finger to draw in flour or drawing outside with chalks are all lots of fun.